Greenville Meet Our Team - Dr. William W. Brown, Jr. Welcome to our dental family! Brown Dental Associates has been proudly serving Greenville, Anderson, Mauldin, Spartanburg, Simpsonville, Greer and nearby cities and towns in South Carolina for 25 years now. Our practice is led by Dr. William Brown, a fellow in the Academy of General Dentistry. Patients rely on Dr. Brown and the rest of our dental team for modern, comfortable treatments and the best care. Our staff members have been with the practice for years and they’ve come to know our patients very well. To our entire team, patients are like members of our own families. We genuinely care about them and we want them to remain in the best dental health. 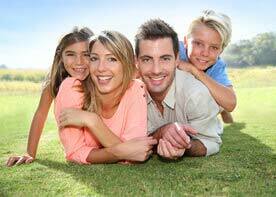 Your Greenville, South Carolina dental team is here to help. Contact us for any questions or concerns about your dental health by calling 864-408-8873 or using the online form. It’s been interesting over the years when we’ve looked for staff members here in the office, the team that we’ve got. When we opened the office 25 years ago, it was my wife and I. She took care of the front desk, and I did everything in back. She occasionally got to come back and got the pleasure of doing suction for me. It wasn’t the highlight of her day but she did a little bit of everything. Our first employee was LuAnn, and she’s still with us today. I think she’s planning that we’re both just going to retire together down the road. But it seems like every time we’ve needed someone, the Lord just kind of drops them into our lap, really. We’ve had a good group of staff members, good group of team members. In general folks work together well. The more people you put together, the more chance there is of someone having a bad what happened to Tom, or what the kids have done those kind of things. There are times when we’re not always working together as smoothly as we’d like, probably most of the time it’s my fault. But we’ve got a good group. The hygienist that we’ve got, patients like. And sometimes patients will prefer one hygienist over another and they’ve got some choices. Nina is the lead certified Dental Assistant. Nina studied dentistry in Washington State and graduated in 1999. She joined our team in 2002. She is a native of the Ukraine. For me, the first thing to find out when I walk into a dental office, dentistry is a totally different feel from a lot of businesses, and for me the main thing to find out is how long the doctor has been working and how long the employees have been around him. If the doctor has been practicing for 1520 years, and all the people are fairly new, that’s a big flag for me. So when I came here, and he introduced me, this is my first employee, and this is my second, it’s been 1518 years, I said that’s interesting. If he knows how to keep employees, he knows how to keep patients. From what I’ve seen, in the last twelve years, it’s really true. We have a good fellowship, a good relationship with our patients and most of them stay with us for years. Tamara is an administrative assistant. She graduated in 2001 from Bob Jones University with a B.S. in Organizational Communications. She joined our staff in 2013. She enjoys spending time with her husband and two children, singing with the Greenville Chorale, and running. I’ve been working for Dr. Brown a little over a year. I work in the front office with the rest of the front office staff, and I’ve been in dentistry for over 11 years. Dr. Brown really likes to joke with the patients, which helps them be more comfortable, which is a problem for many people obviously, coming into the dental office. People just consider him funny, someone said just last week that he doesn’t think he could find a funnier dentist in Greenville. He likes to joke around. He just actually, yesterday, walked someone to the door, she had left something and he followed her out to the door. He’s just very comfortable and treats them with respect and like family, they’re all very comfortable with him. I have a lot of friends that come to Brown Dental Associates, and he really makes people comfortable, he’s very gentle and he’s very conservative with treatments so they know when he recommends something be done, it really needs to be done. The staff is very friendly and interested in the patients, and takes the time to get to know each patient, remember their name, remember their children’s name, so it makes for a good working environment. I think that Brown Dental Associates is different because of that personal touch, that we find they’re not just interested in getting as many patients in and out as they can in a day, they take the time to give the patients the time that they need, and they listen to what the patients are saying about the problems they’re having or the issues that they feel are important where their teeth are concerned. So that gives us that caring touch I think that’s very important when you’re working with individuals and families. I see patients usually for their cleaning check ups, they’ll see one of our hygienists, and we’re going to take their dental xrays, do their oral cancer screening, overall tissue assessment and their cleanings. I feel that it’s very laid back but I think that has a lot to do with Dr. Brown’s personality, because he’s kind of a laid back guy and it kind of carries on over to the rest of the staff and the patients feel very laid back here as well. Very good with all of his patients, he really cares about everyone, takes the time and tries to make everyone feel at home. He always gives his patients all of his attention and the best treatment that he can. First of all, they’re going to get the best care no matter which hygienist they see, and that Dr. Brown is really conservative with his treatment, meaning he is not just going to jump in and do anything unnecessary, anything he recommends is really what’s best for the patient. He has their best needs in mind and not his own. Lou Ann is a dental hygienist and also our first employee here in the office, starting in 1991. She graduated from Greenville Tech in 1991. She has two grown sons. Lou Ann enjoys gardening, knitting, scrapbooking and stamping. Mostly I will see a patient for a regular cleaning, doing xrays, fluorides, sealants, patients education, new patients in our office would see us and we would do the new patients exams. I think he interacts with the patients really well, he listens to their needs, he tries to tell them what they need and take care of what dental needs they have. He’s compassionate towards them, he is willing to meet them here if there’s an emergency on a Friday or a weekend, he’s willing to come in and meet them and take care of that. I think Dr. Brown is a good boss, he’s easy to work for. I like the environment, I like the patients, they are family now. I’ve seen their children, and I’m seeing their grandchildren now, I’m seeing the third generation and it’s close to home. I’m comfortable, and I like the environment. Judy is a dental hygienist and a 1987 graduate of Greenville Tech. She is married to the pastor of Faith Baptist Church in Simpsonville and has three children – Nicole and Kristen, who attend Bob Jones University, and Samuel, who attends Bob Jones Academy. She has a Christian greeting card business and enjoys reading and writing about the Lord. Dr. Brown is the most caring dentist that I have ever worked for. I have worked for several and he really treats you like one of his family. It really makes a difference to our patients I believe, to have someone who really, genuinely cares about what is best for them. He’s a Christian, he loves the Lord and that makes a big difference to our patients, as well as to the staff. We have a great time here. We love our patients, it’s important to us that they feel comfortable, that they know that we really care about them, and that they leave here feeling like they have had someone in their family treating them. Teresa is a dental hygienist. She graduated from Greenville Tech in 1981 and joined our office in 1999. Teresa and her husband Randy have one daughter, Meghan, who is a social worker. Teresa enjoys many different types of crafts. We’ve always had a great team here, even if we’ve lost a couple of team members, whoever comes in always seems to become part of the team immediately. Dr. Brown is just the easiest person I’ve ever worked for. Being in this field for thirty years, I have worked for several dentists, but I tell him he can’t retire until I retire. He’s just good. He will get new technology but only technology that will benefit the patient. Some dentists will go and buy everything new just because it’s something new but that’s not his style. He keeps them relaxed, he really does. We’ve never seen patients that, if they come in nervous, they don’t leave that way. He does have a way of putting them at ease. They’re usually pleased with the work they’ve had done, and I think that’s why we’ve kept so many patients for so many years. This is the place to come. They want a place to come to that they’re going to be comfortable, get to know the staff, feel like they’re part of our dental family, then this is the place to come to.